Defence Turkey: Mr Bushell, thank you for speaking to us today, please could you start by giving us a quick overview of Leonardo’s experience in Turkey? Thank you for giving us this opportunity to speak to your readers. Leonardo has actually been operating in Turkey as far back as 1989 through our fully owned subsidiary called ‘Selex ES Elektronik Turkey’. This company has provided and supported avionics, secure communications systems, naval sensors and air traffic control systems to Turkey. In fact, our technologies provide security for the Turkish people on a daily basis, for example via the country-wide air traffic management system, which links over 20 air traffic control towers with Ankara’s main operations centre. Going forward, we are looking at how we can be of service to Turkey on a number of future programmes, a particularly important one being the future air superiority fighter aircraft, the TF-X. Defence Turkey: We understand that Leonardo be looking to offer support in avionics for TF-X? Absolutely. TF-X will be an advanced ‘5th generation’ stealth platform ready to dominate the modern battlefield in an air superiority role. This means it will need to be equipped with all of the latest avionics and sensor systems, which are critical for today’s high-tech air combat scenarios. We at Leonardo have over 60 years of heritage in delivering avionics for combat aircraft to advanced customers such as the UK’s Royal Air Force and the Italian Air Force. We are very keen to put this expertise and experience to work to support Turkish industry in delivering TF-X. To give an example of a major international fighter aircraft programme we can transfer experience from, we are currently leading the delivery of the radar, electronic warfare defensive suite and InfraRed Search and Track (IRST) for all Eurofighter Typhoons, including for the latest customer Kuwait, who will receive the new Leonardo-led E-scan radar. Defence Turkey: What parts of the TF-X avionics could Leonardo support with? You will have seen that Aselsan is expected to be contracted to provide two of the most important and technologically-advanced packages of avionics for TF-X. These are the ‘integrated RF’ and ‘integrated EO’ segments. We are very strong supporters of Aselsan, in fact we have been working with the company for a number of years through our in-country subsidiary. Aselsan is an extremely capable company and we are currently in talks to see how we could support them in delivering these two packages. Essentially, what we are offering is to partner with Aselsan to reduce the schedule and cost risks associated with developing advanced technologies such as E-scan radar and IRST. These are technologies that we have years of experience delivering and, if we were to jointly develop and build these systems in partnership with Aselsan, we could ensure a lower level of risk for the programme. Defence Turkey: Do you have some specific examples? Yes, let us first take a look at the TF-X’s integrated EO package. This will include an InfraRed Search and Track (IRST) sensor. While the actual IR sensor is a relative commodity, the processing needed to determine targeting data from the IR imagery is incredibly complicated, indeed it is something Leonardo has spent years investing in to get it right. We are now international experts in IRST technology and are currently providing our Skyward IRST for Saab’s new Gripen E aircraft as well as leading the consortium which produces the Eurofighter Typhoon’s ‘Pirate’ IRST sensor. Another example relates to the integrated RF package. As a fifth-generation fighter that Turkey intends to export around the world, the TF-X will need to be equipped with a latest-generation AESA (E-scan) radar. We have over 60 years of experience with fire control radars and are one of the world leaders in the use of AESA radar technology. We lead the consortium that is currently developing the Captor-E AESA radar for the Eurofighter Typhoon and we provide our own Raven ES-05 AESA radar for the Saab Gripen E. Our Vixen AESA radar is also helping to train United States pilots at the US Navy Test Pilot School. Combining our experience with the capabilities of Turkish industry would help avoid cost overruns and technological complications that often come with such advanced technologies. 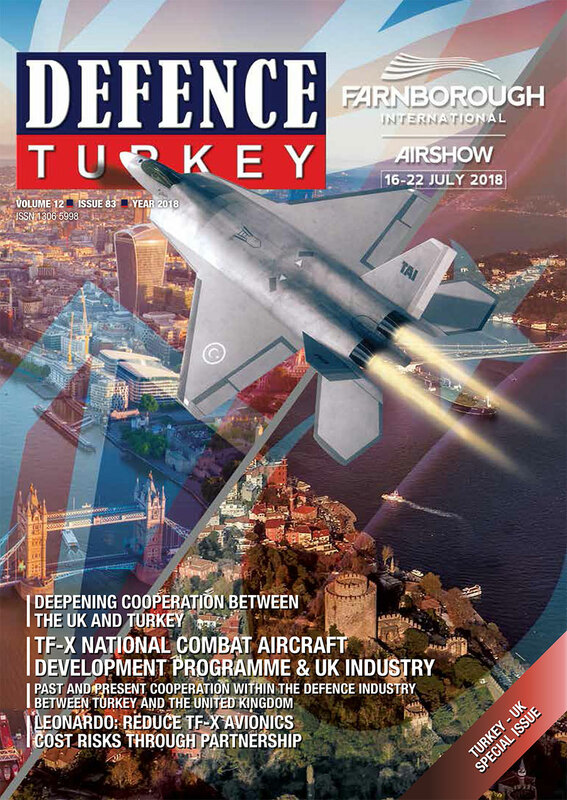 Defence Turkey: Does the UK Government support your involvement in TF-X? We have received strong support from the UK Government in relation to the TF-X programme. Following the announcement that BAE Systems, in partnership with Turkish Aerospace Industries (TAI), will be helping develop the aircraft, the UK Government has been supporting Leonardo’s position as the ‘UK champion’ for TF-X avionics, pulling forward the wider team of UK avionics companies into TF-X. 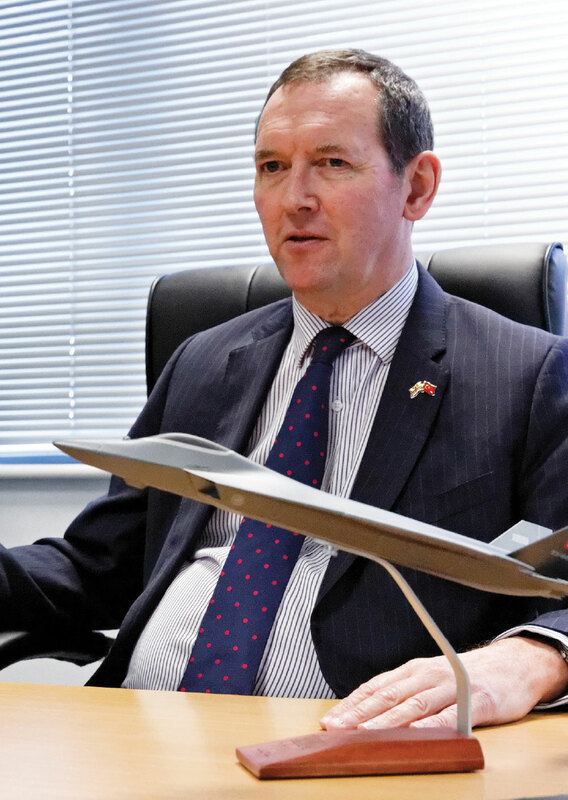 There are a number of benefits to Turkey of working closely with the UK Government on avionics, for instance it could lead to further support for the TF-X fighter beyond the aircraft itself, such as in the data domain. One of the most important elements of a fighter aircraft’s defensive electronic warfare (EW) equipment is the data that it contains. The UK is a world-leader in the use of electronic warfare and Leonardo works closely with the Royal Air Force to ensure that pilots get the most out of their EW systems. This is an area where we could collaborate even more closely with Turkey in future.